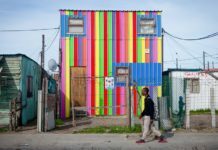 The South African government aims to create 4.5-million short-term jobs through its Expanded Public Works Programme over the next five years, while rationalising its incentives for businesses to create more jobs, and supporting labour-intensive infrastructure projects, says Finance Minister Pravin Gordhan. Presenting his Medium Term Budget Policy Statement in Parliament in Cape Town on Tuesday, Gordhan said that a wage-based incentive mechanism was being implemented to encourage government departments and municipalities to use funds for labour-intensive projects. The incentive is aimed at the infrastructure sector, and at non-governmental organisations and community organisations that provide services on behalf of the government. A R50 reimbursement of the daily wage of each person hired will be given, provided that a specified job target threshold is exceeded. The subsidy will be extended to projects in the environment, cultural and social sectors. 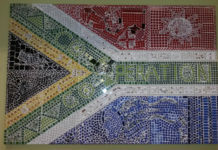 The Expanded Public Works Programme provided 1.6-million jobs during its first phase, which ran from 2004 to 2009. As part of the second phase, a community works programme, which is being rolled out largely in rural areas, aims to provide work to at least 1 000 people per week on each site in the current financial year. The programme aims to create the equivalent of 180 000 full-time jobs by 2014, and a total of R114.5-million has been set aside for the programme in the adjusted budget. Gordhan also announced that a total of 3 438 employees from 24 companies had applied for the government’s training layoff scheme by 2 October. 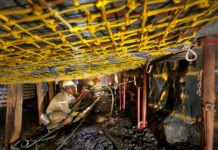 R2.4-billion has been set aside to fund the scheme, under which workers whose companies plan to retrench are placed on training programmes administered by the National Skills Fund and the Unemployment Insurance Fund. The Commission for Conciliation, Mediation and Arbitration oversees the scheme, while the country’s Sector Education and Training Authorities provide training. The government is also considering setting up an umbrella fund pulling together the various incentives offered for businesses to create more jobs. Briefing journalists before his medium term budget speech, Gordhan said the fund would largely be made up of existing programmes and tax incentives, with clear targets aimed at job creation. He said a key objective would be to make more transparent the amount of jobs created by the rebates, incentives and support programmes already offered by the government. 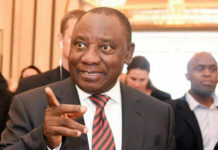 “I think the country is demanding some answers in terms of where is the trade-off in investments in these programmes and the actual jobs that are created,” he said.